WASHINGTON- Rocketplane Kistler (RpK) missed its end-of-July goal for completingfinancing of the K-1 reusable launcher, but the Oklahoma City-based companysaid it expects to present a "closure plan" to NASA by Aug. 3. The managerof the NASA program subsidizing development of the K-1 said July 31 he iswilling to give RpK more time to complete its financing. "RpKis making good progress and we are being patient to give them every opportunityto succeed," Alan Lindenmoyer, manager of NASA's Johnson SpaceCenter-based Commercial Crew and Cargo program, said through a spokeswoman. "We have not given them a deadline, and as specified in the Space ActAgreement, are assessing the situation to determine if further efforts are inthe best interest of both parties." 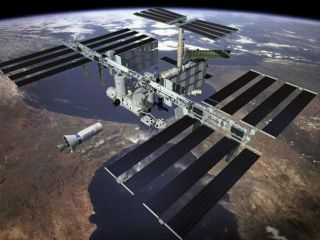 RpK was oneof two companies NASA selected last August under the Commercial OrbitalTransportation Services (COTS) program to split roughly $500 million inpublic money to help fund the development of new launchers capable ofdelivering cargo to the international space station. California-based SpaceExploration Technologies (SpaceX) was NASA's other COTS finalist. NASA madeRpK's $207 million COTS award contingent on meeting a series of technical andfinancial milestones that would culminate with a demonstration flight to theinternational space station. While NASA says RpK has performed well on itstechnical milestones, the company has struggled from the beginning to meet itsfinancial milestones on time. The firstmissed deadline was last September when RocketplaneKistler requested and received a 30-day extension from NASA for completingthe initial $40 million financing round. A secondround of financing amounting to $120 million was due at the end of February.But as that deadline approached, RpK successfully renegotiated its COTSagreement, convincing NASA to give it until the end of May to take advantage ofa favorable investment climate and raise the entire $500 million in privatefinancing it needs, not just the $120 million that was coming due. When Maycame and went without RpK able to nail down its financing, the company'spresident, Randy Brinkley, told SPACE.com and NASA he would have themoney by mid-July, later amending that unofficial deadline to the end of July. Brinkleytold SPACE.com after the close of business July 31 that he was stillworking to complete RpK's financing. There is"still work in process on alignment of investor funding and also workingon addressing near term bridge loan funding for subcontractors forAugust," Brinkley wrote in an e-mail. "Finishing up two daysuccessful [preliminary design review] on the pressurized cargo module today.NASA is very much aware and supportive of efforts to close open financingissues. Hope to have closure plan by the end of this week and will share withNASA at that time." Brinkleydeclined to provide more specifics on how close RpK is to completing itsfinancing. "WhileI would like to provide more detail for you it is not appropriate to do so atthis time," he wrote in a follow up e-mail. "I will certainly do soas soon as I am in a position to do so." To date,RpK has received only about $32 million of the $207 million it is entitled tounder the COTS program if it successfully completes its promised demonstrationflights. RpK's competitorshave been busy in recent weeks lobbying NASA on how it should spend theremaining $175 million should the U.S. space agency declare RpK in default onits COTS agreement, something that has not happened yet. Some of theCOTS finalists would like to see NASA using RpK's money to bring on one or morenew competitors. But Space Exploration Technologies, the other company NASAselected last August to receive financial assistance with its space stationre-supply system, has been urging NASA to give it RpK's remaining money to stepup development of a crewed capability.